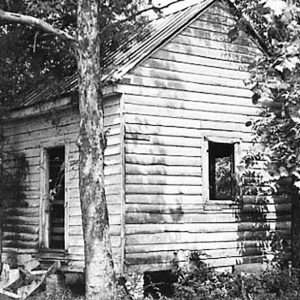 This slave house is believed to have been built about the same time as the main house at Magnolia, an imposing Greek Revival mansion constructed c. 1855 for Frances Tucker Hopkins. She was the wealthy widow of David Thomas Hopkins, a prominent Richland County planter. Located about 150 feet from the mansion, the slave house was the home of house servants. It was later used as a tenant house. The hipped roof wood frame house has a central chimney and shutters covering the windows.